warp, weathers extremely well, and has natural resistance to insects and decay. 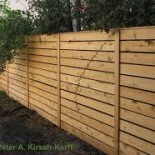 Although initially higher in cost than lower priced white wood fencing, a cedar fence will last up to twice as long and require less maintenance therefore making it a better overall value.There is a vast array of options available to increase the overall appearance and longevity of your new cedar fence.Upgrading to steel posts eliminates the need to replace posts that decay at ground level due to moisture or abuse from line trimmers.Adding an oil based stain/sealant not only protects the wood and the fence but it enhances the overall appearance of the fence as well.Treated pine baseboards, often referred to as kick boards, allow the more vulnerable fence pickets to be raised 4-5” above the ground virtually eliminating damage to the pickets from moisture and line trimmers.Aesthetic options include decorative trim, corbels, 2×8 cap boards as well as numerous other optional upgrades to personalize or enhance the beauty of your new fence. 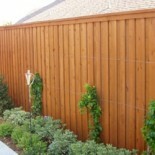 Our standard 6 ft. cedar fences have #1 grade Western Red Cedar pickets, three 2 x 3 cedar rails, and 4 x 4 cedar posts. Posts are set approx. 7 ft. apart. All posts are set approx. 24″ – 30″ deep in concrete. 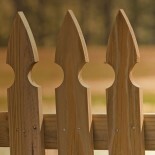 Our 8 ft. cedar fences have #1 grade Western Red Cedar pickets, four 2 x 3 cedar rails, 4 x 4 cedar posts set approx. 6 ft. apart. NOTE: All rails and posts are standard and better grade. Gates are double posted for extra strength. Gates will have 3 10″ hinges. Gates on 8′ fences will have a header over the top. For maximum holding power, we use 6 ring shank nails to fasten 6′ pickets and 8 ring shank nails to fasten 8′ pickets. Cedar is an excellent outdoor wood. 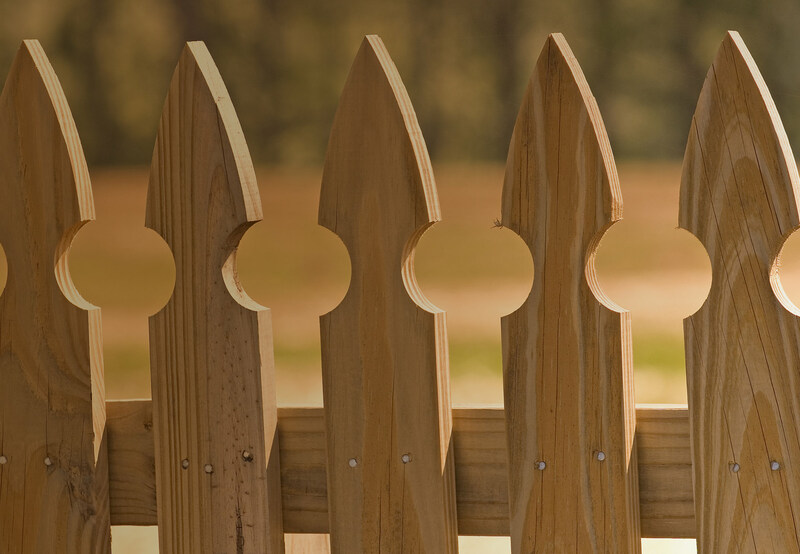 In most conditions, cedar pickets, rails and wood fences last from 16 to 20 years. 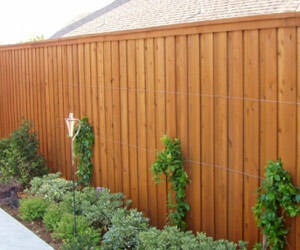 Cedar is the top of the line in wood fencing. Its reddish brown color gives it a warm, rugged appearance. 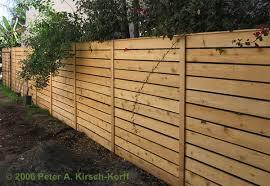 Cedar is an ideal wood for fencing because it is a stable wood that has very little tendency to warp. Cedar weathers well and has some natural resistance to rot and insects. Cedar will eventually turn gray from exposure to the sunlight if left unprotected.